The OnePlus 3 is being prepared for launch in a few days and the phone is expected to be available in several versions just like the OnePlus 2. There have been several leaked specifications of this upcoming device, which has already generated a lot of interest, but the most reliable has come in the form of benchmark tests. It shows that the OnePlus 3 may be available in several variants based on the amount of RAM or internal storage. 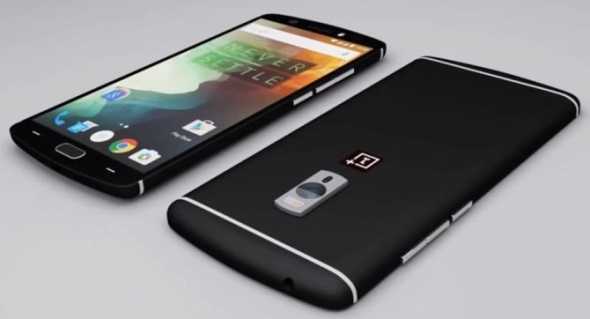 The specifications are also likely to make the OnePlus 3 one the most powerful devices in the market today. It will come with a 5.5-inch screen, which continues with the same 1080p resolution as before. This may be seen as the only disappointing aspect of the upcoming OnePlus 3 because almost every other aspect of the device is brand-new. The 1080p resolution may be intended since it would help save battery over the power hungry QHD resolution, which is fast becoming the standard for high end phones. Still, the OnePlus 3 will not be left with a disadvantage in this regard since the 1080p resolution does not offer much complaints. One major surprise is the lack of dual SIM support on the OnePlus 3. Up until now, one of the selling points of the OnePlus phones in developing markets was the ability to offer high end features while at the same time supporting two SIM cards. While this may definitely be disappointing in some aspects, OnePlus 3 tries to make up for it by being available without any invites. For the first time, the high-end OnePlus device can be bought without any invites. It has been seen as a cumbersome way to get hands on the popular product. The release date of the OnePlus 3 has now been pushed to June 14. The company is reportedly preparing a stock of 1 million handsets, which is likely to ensure that worldwide availability is not disrupted even with tremendous interest as expected. It was initially expected that the phone will continue with the same specifications with regard to camera, but the OnePlus 3 may now come with a class leading 15-megapixel camera in the rear. It will be aided by a seven-megapixel front camera, the samples of which have already been released thanks to the company’s CEO. The unveiling of the device will be presented in virtual reality. The OnePlus 3 is being prepared for launch in a few days and the phone is expected to be available in several versions just like the OnePlus 2. There have been several leaked specifications of this upcoming device, which has already generated a lot of interest, but the most reliable has come in the form of benchmark tests. It shows that the OnePlus 3 may be available in several variants based on the amount of RAM or internal storage. I was thinking of jumping to One Plus 3 for the dual SIM and I live in the US. I have ATT’s unlimited international data plan but their voice rates in other countries isn’t that good. Even though I’ve been iOS since 2009 I was going to jump fora great dual SIM phone. Took bad.